Attract new customers and boost your sales with UPrinting’s wholesale magnet printing. You can advertise your home service by sticking car magnets to your vehicle doors. Drive at high-traffic areas to show your signs to your target market. You can also stick these magnets at strategic places to increase brand visibility. If you are in the delivery services, hand out business card magnets with your company name and contact number on them. Your customers can stick them to the fridge or file cabinets and refer to them the next time they decide to order. For your wholesale magnets to convert into sales, you need to create a full-color magnet design that will grab the attention of people. Get these prints in bulk to save you a portion of the printing cost. This also saves you the hassle of going through separate printing transactions, added production payments and shipping expenses. Here at UPrinting, wholesale printing usually ranges from 250 to 5,000 copies. Bulk magnets can take form of a business cards or signage on vehicles. Wholesale business card magnets are given out to customers and potential clients. 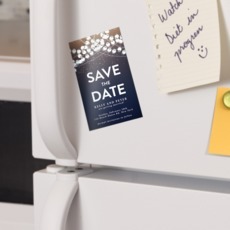 Through this magnet type, not only will your target market learn more about your business, but they can also affix the magnets to your refrigerator, whiteboards or any metal surface for easy reference. Large magnet signs are attached to car doors to advertise your business to the local community. The signs will serve as mobile billboards once the vehicle is driven around town. You can have your prints in as fast as four business days. For questions about wholesale magnet printing, contact us at 1.888.888.4211 or launch our live chat.